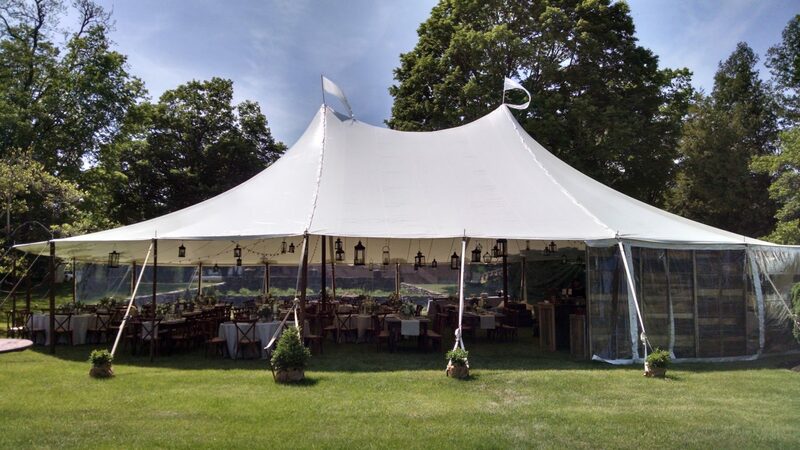 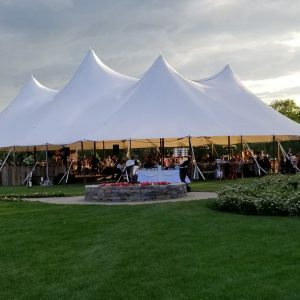 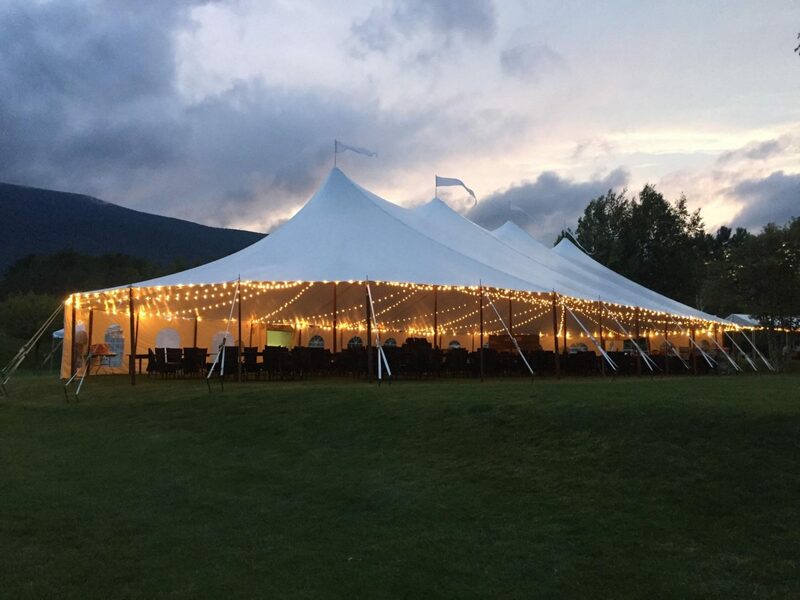 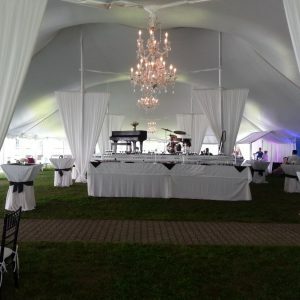 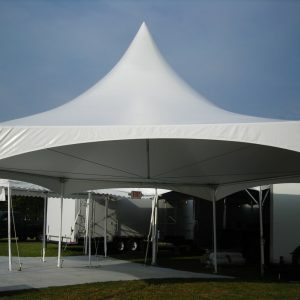 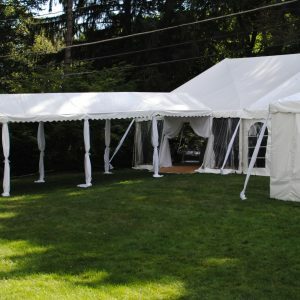 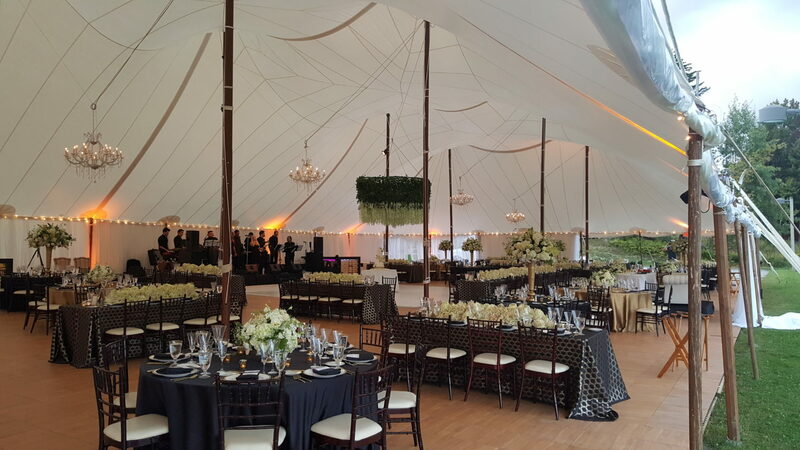 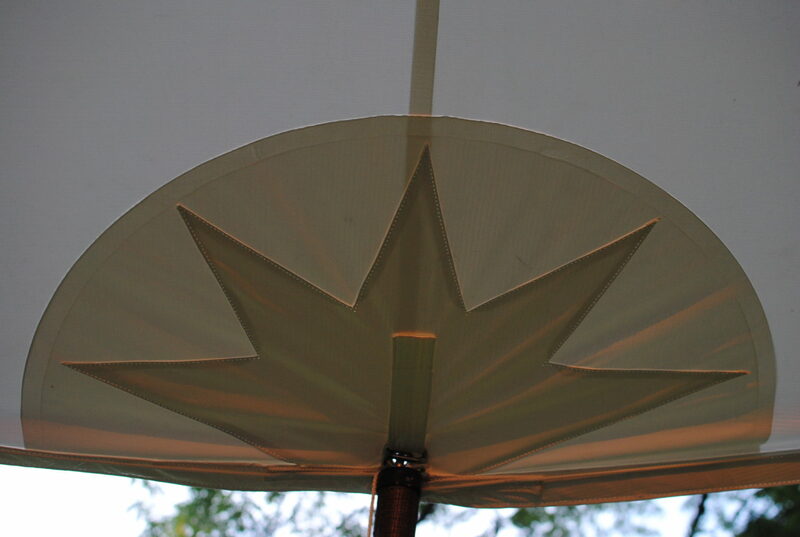 Stillwater Sailcloth style tents have a lighter, softer feeling fabric with rounded ends, flowing lines, accents around the poles, varied peak heights and no valance. 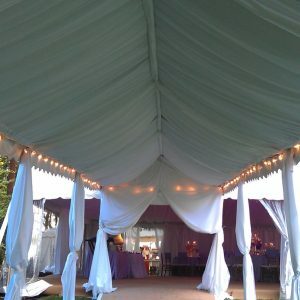 The translucent fabric allows in more light making the structure feel more casual and open. 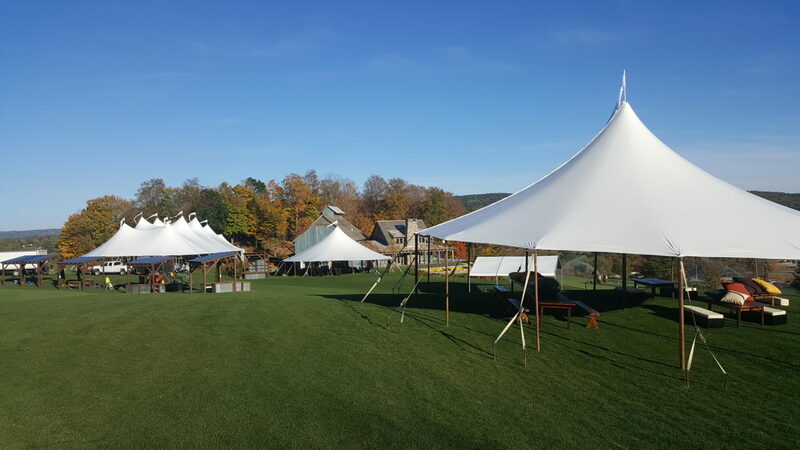 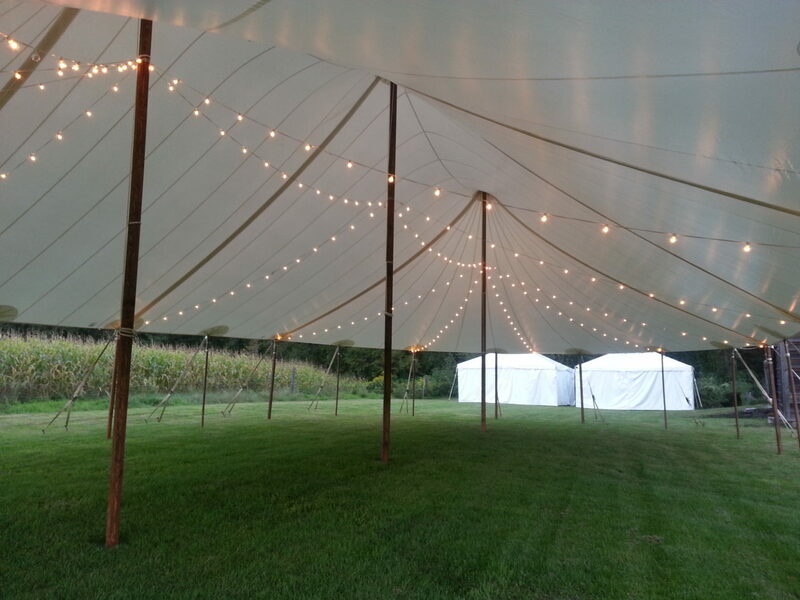 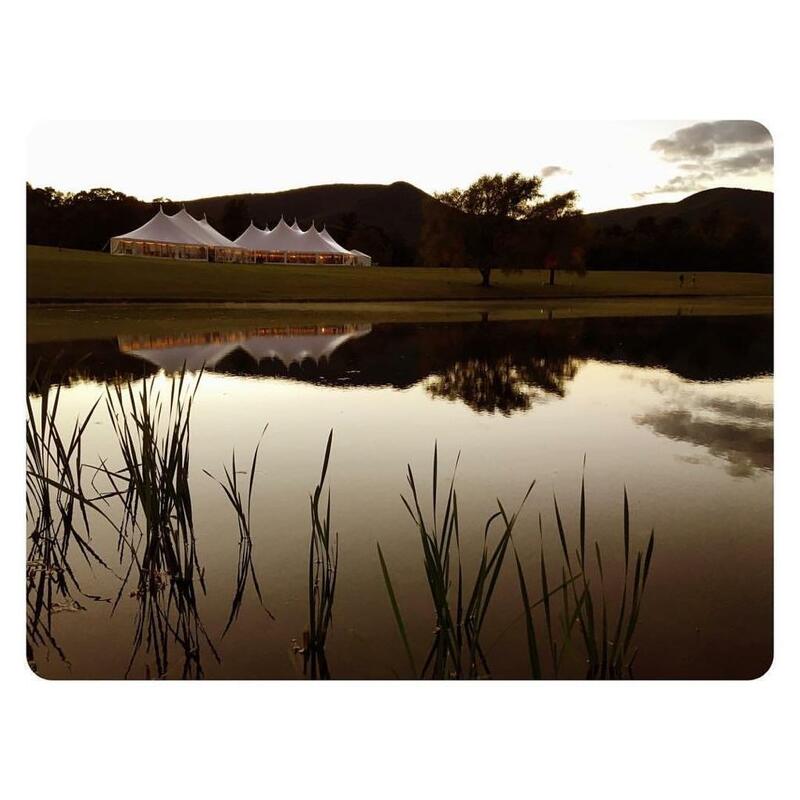 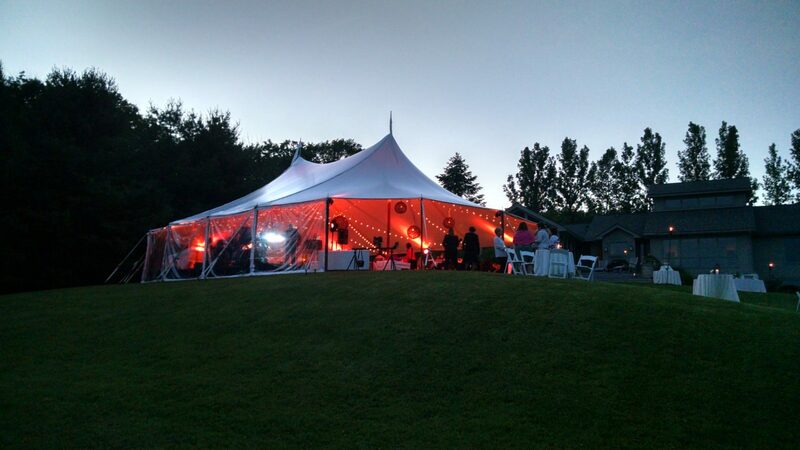 Stillwater tents are the perfect choice for natural, rustic styled events.